This single colour, Red, IP67 rated ProFlex emits a bright, red light and it is manufactured using high quality components therefore we confidently offer a 3 year warranty. 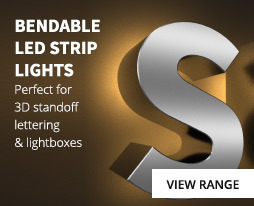 This single colour, Red ProFlex product is a very bright, flexible lighting strip used widely in the installation industry where a reliable professional LED product is demanded. Our ProFlex products are supplied on a 5m roll and can be cut to size every 100mm and fixed into place with the attached 3M sticky backing. With it's IP67 rated, resin coating this version of ProFlex is splash proof and can therefore be installed in damp indoor environments such as kitchens and bathrooms. ProFlex can be installed into channelling and is compatible with our range of aluminium extrusions. Simply connect ProFlex to a suitable 24v driver to achieve a bright, consistent band of red light. If more control is required however, ProFlex is fully dimmable and compatible with our range of dimmable 24v drivers. 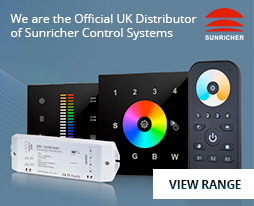 In addition, full remote dimming and control can be achieved with our RF controllers and we also stock a range of DMX Decoders for incorporating the flex into an existing DMX control system.